Get Exclusive Horoscope Prediction For Aries!  August is going to become a month of love and drama for Aries reps. On August 6, Venus will enter your relationship sector and remain there up to September 9 which is particularly good for the Aries people who’re currently in a relationship. All the rough edges will be smoothed and you’ll feel more confident. However, the situation will be a bit different for your job relationships and business partnerships. Around August 9, Venus and Saturn will start a fight making you doubt the person you deal with. Those Aries natives who’re still single will get a special chance on August 11 when a Solar Eclipse in your 5th House of Pleasure. An ex-lover may come back and you’re to decide if you accept him or her or not.